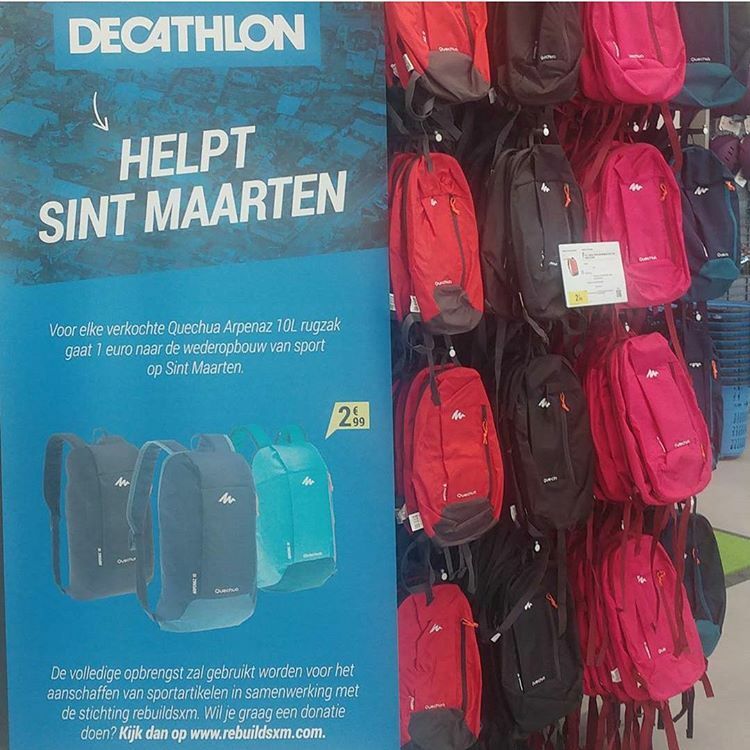 Four Decathlon stores in the Netherlands, Eindhoven, Best, Breda and Arnhem, have started a campaign to raise funds to purchase sporting goods for Sint Maarten. For each sold Quechua Arpenaz 10L bag 1 euro will go to the rebuilding of sports on Sint Maarten. The total amount raised will be used to purchase Decathlon products. The campaign will be until the 11th of November 2017 (Sint Maarten's day). 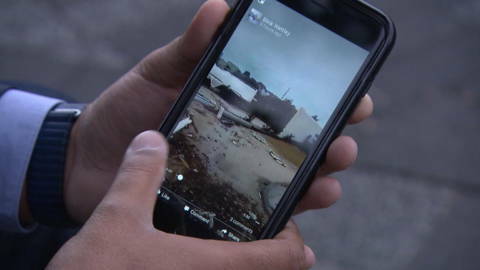 Next to this the stores will also donate defective and returned products to the islands for a second life.